After re-watching this…these two teams really deserved their 0-4 record coming in. Man, you want to talk about two sad sacks teams with no offensive plan aside from riding their perceived top guys…headed up by two rapidly declining QBs. It seemed like the Giants had control of this game for the most part. The Chargers' coaches, I'm sure, spent 25 hours a day all week studying the Giants…but then 'whoops' they didn't uncover in their studies that Eli just throws to OBJ all the time. OBJ was about to singlehandedly win this game. When it looked like the Giants were about to put the game away, Beckham got hurt and was taken off in a cart and the G-Men rolled over. It looked like the players were going to cry. They looked like they had no hope…then they played like it -- and the Chargers stormed back with 10 points in the final five minutes to win it. The Chargers now face OAK-DEN-NE-BYE-JAC-BUF-DAL the next seven weeks. They'll lose all six of those games. The closest they'll come to a win is versus 'bye'. The Giants losing ways are not over anytime soon. At DEN, SEA, BYE, LAR…that's good for 0-8. If they don’t beat SF in Week 10, they have a chance to make a run at 0-16 given their schedule. Eli is a terrible QB without OBJ and this team has rolled over on the illustrious Ben McAdoo. -- What happened to Evan Engram (0-0-0/4) in this game? 1) Jatavis Brown (5 tackles) was all over him…one of the only LBs in the NFL who could keep up with him. 2) Eli completed 10 passes to non-RBs in this game. Eli threw 36 passes…16 to RBs…8 of the other 20 passes to OBJ. Engram was actually 2nd among all NYG WRs/TEs in this game in targets with 4. It was a weird game. Will OBJ being gone be a good thing for Engram? I think so. It won’t be good if OBJ-Marshall-Sterling are all out this week because then Denver can take its elite coverage and plaster it on Engram. On the other hand, Engram is a big body that could be unique to deal with. I'd lean…if no Shepard, then Engram might not do so hot as the #1 weapon at WR/TE versus Denver. I'm still buying everyone's Engram stock if they want to sell it. I have no doubt Engram will be a great one, but there will be painful weeks like this along the way…there is for most fantasy TEs. A few weeks ago, Kelce went 1 rec. for 1 yard. Things happen. -- Speaking of Sterling Shepard (1-9-0/2), he's the new #1 WR for the Giants but enters into at a weird spot. He's hurt and is 50-50 to play this week. If he plays, he gets Denver – so he'll do nothing. The following week will be versus Seattle…not great and then a BYE. It might be four weeks before he's healthy/you can confidently use him for fantasy. That's a long time to wait. If you have the patience and ability wait, this could be a nice steal/investment to sit on. I’d get him only if CHEAP to do so. Before this injury Week 5, Shepard was averaging 5.5 catches for 63.5 yards and 0.25 TDs per game. His one game when OBJ was inactive, Week 1: 7 catches on 8 targets. He's a pretty talented receiver working in the shadows of OBJ…no longer. -- I can just feel it…that Orleans Darkwa (8-69-1) and Wayne Gallman (11-57-0, 5-23-0/5) are going to amount to 'not much' for fantasy week to week ahead. If this is the best they can offer against the #32-with-a-bullet run defense of LAC…then 'yippee'. They go from facing #32 to facing #1…the Denver Broncos this week, then a very tough Seattle run D after that…then a BYE. You got three weeks to spare on these two RBs…with Shane Vereen lurking to take touches…and just in time for Paul Perkins to heal? I'd be selling Gallman ASAP. -- I'm sure much will be made of it this week, but Eli Manning (21-36 for 225 yards, 2 TD/1 INT) has disastrous numbers without OBJ the past few years. Consider that + facing Denver and Seattle the next two weeks. Eli is a drop (or trade for whatever) in fantasy leagues now. His career as a useful Fantasy QB may be over as of now…we just haven't fully seen it play out yet. You think DEN-SEA-BYE ahead is bad for the WRs and RBs…what about Eli? 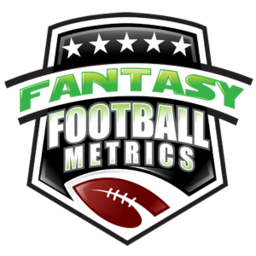 -- I keep pushing the trading of Keenan Allen (4-67-0/12) and Tyrell Williams (1-22-0/2) ahead of their schedule collapse, and hopefully you heeded it…you're running out of time before 'experts' start talking about it. DEN, @NE, BYE, @JAX, BUF…five weeks and four, maybe five, potential disasters. Tyrell will suffer some with this schedule, but as you can see from this game output and most games this season – Tyrell doesn’t matter to LAC. I wouldn’t be shocked if he got benched when Mike Williams can play…which is idiotic, which means the Chargers will definitely do that. Tyrell Williams is droppable in 12-team/15-man redraft leagues. -- This was the big Austin Ekeler (4-0-0, 3-28-0/6) push week, and we got not a lot to show for it. Anthony Lynn is not going to create a Danny Woodhead option for Rivers here. That type of position is for sissies, I'll bet Lynn thinks. If Melvin Gordon goes down, then there would be some kind of committee. Ekeler is not a workhorse back. He's not even Duke Johnson, etc. He's a decent backup RB in an offensive wasteland for smaller RBs. -- Quick note…UDFA WR Travis Rudolph was just called up by the Giants. I would tell you that Rudolph was one of the most impressive rookie WRs I witnessed in the 2017 preseason. I thought he was 'OK' coming out of Florida State, but I was blown away watching him against NFL competition. I don’t know that Rudolph will get a fair shake anytime soon. All I know is this – that guy is one hell of a WR. Someone will have to be the #2 to Sterling Shepard…I think it will eventually be Rudolph, not Roger Lewis. But that thinking means it will probably be Lewis forever in the brilliant Ben McAdoo's eyes. We can’t have nice things. The new head coach may like Rudolph…and that new coach may be in place in three weeks after NYG falls to 0-7 heading into their BYE week. Rudolph reminds me of a Jordan Matthews, Davante Adams, Michael Crabtree, Adam Thielen kinda WR all rolled into one. Great size/reach, amazing hands, toughness…and so-so speed. And needs a QB to make it 'work'.